Although there are countless patients worldwide who are pleased with the cosmetic results of their derma filler, there are also those who request that their procedure be reversed. Should a patient be dissatisfied with the results of their dermal filler, the removal of it is entirely dependent upon which injectable filler was used. One of the most advantageous features about hyaluronic based dermal fillers such as Juvederm, Restylane and Teosyal, is that it can be reversed with Hyaluronidase. Patients who don’t want to wait for their body to naturally break down temporary fillers choose hyaluronidase to remove them. Hyaluronidase is an injectable enzyme that quickly dissolves hyaluronic acid and reverses the results safely and quickly. Although there are advantages of using hyaluronic dermal fillers due to the fact they can be reversed, not all dermal fillers can be removed as easily. Permanent fillers are composed of other materials that are permanent. If there is a complication or negative result from them, it will most likely need to be removed surgically, possibly leaving a scar or depression. The most important thing to consider is that you don’t have to live with temporary fillers if you are not satisfied with the outcome. 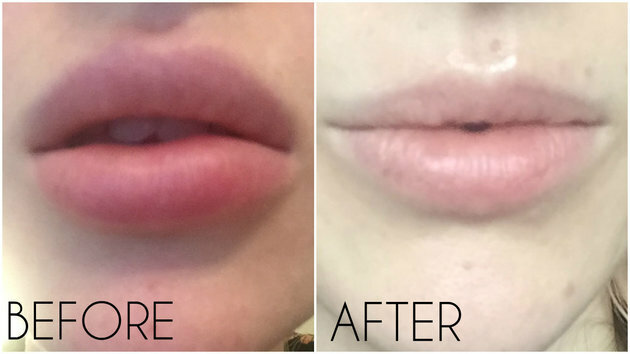 You can easily reverse lips that are lumpy or too big, puffiness from filler, an over correction or asymmetry with hyaluronidase. For more information on dermal fillers such as Juvederm, Restylane and Teosyal, visit https://www.lastinglooks.ca/botox-dermalfillers-toronto/ at Lasting Looks Clinic in Toronto.